Our charity coffee mornings have become a staple in the Tai Chi calendar. Each one has been a wonderful way to promote, share and enjoy Tai Chi as well as raising funds for a good cause. 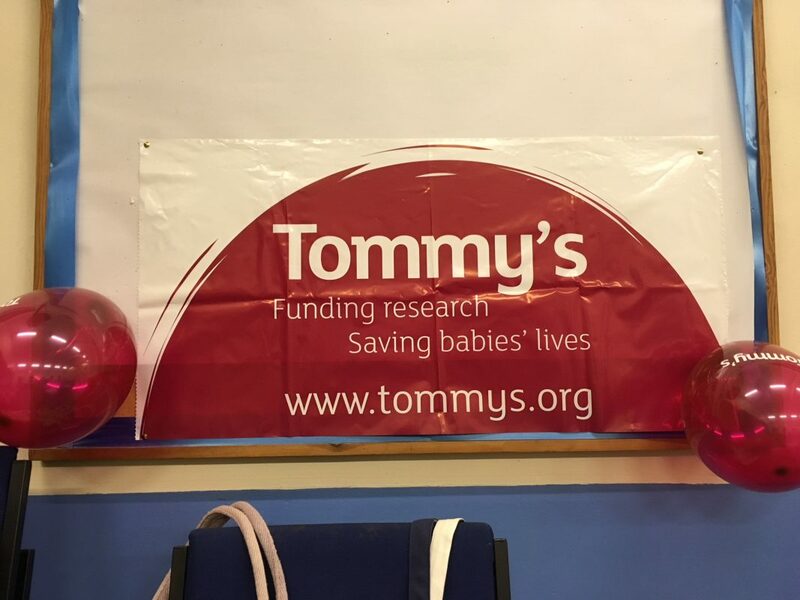 Each year we pick a different charity and this year we picked Tommy’s. A less well known charity but nonetheless a well worthy cause. The morning started well with some early birds even before the doors officially opened. We were lucky with the weather and this helped, I’m sure, to bring out the crowds. There was plenty for people to spend their money on. We had bottle and chocolate tombolas; a raffle; two tables full of homemade cakes and plenty of tea and coffee. We also held, for the first time, an auction. A signed EFC shirt was donated by one of my students and this raised £100. In total so far we have raised a staggering £948. I say so far because others have pledged to donate. I will keep an up to date total over the coming days at the bottom of this page. The students of the Wednesday Tai Chi group were outstanding in helping to set up and prepare the hall; operate all the stalls etc and put on an incredible performance of Qigong and Tai Chi to wow the crowds. Everyone seemed to have a wonderful time and many of them joined in some Tai Chi after the demonstration. In the gallery you will be able to see the photos from the day and hopefully soon I may be able to upload the video too. Thank you to everyone who attended and made this such a special event for Tommy’s.